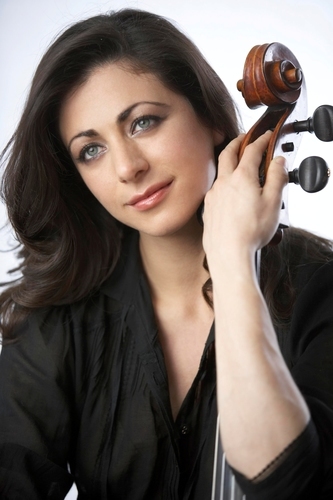 British cellist Natalie Clein has built a distinguished career, regularly performing at major venues and with orchestras worldwide. Her playing has been praised for its “astonishing range of colours and ... wide variety of expressive styles” (Gramophone Magazine). She is an exclusive recording artist for Hyperion and has recorded the two Cello Concertos by Camille Saint-Saëns as well as Bloch’s Schelomo and Bruch’s Kol Nidrei with the BBC Scottish Symphony Orchestra to great critical acclaim. A solo disc with works by Bloch, Ligeti and Dallapiccola was released on 27 Janaury 2017. She has previously released 3 discs for EMI. Her performances have taken Natalie Clein to orchestras including the Philharmonia, Hallé, Bournemouth Symphony, City of Birmingham Symphony, BBC National Orchestra of Wales, Montreal Symphony, Orchestre National de Lyon, New Zealand Symphony and Orquesta Filarmónica de Buenos Aires. She has performed with conductors including Sir Mark Elder, Sir Roger Norrington, Gennady Rozhdestvensky, Leonard Slatkin, Stéphane Denève and Heinrich Schiff. A keen recital and chamber performer, she has recently performed Bach’s Complete Cello Suites in London, Southampton and Oxford; and has curated a series of four concerts for BBC Radio 3 at LSO St Luke’s. She is the proud artistic director of her own chamber music festival in Purbeck, Dorset. She regularly works with contemporary composers such as Thomas Larcher, Brian Elias and Dobrinka Tabakova and has also curated and been involved in cross-disciplinary projects with the dancer Carlos Acosta, writer Jeanette Winterson and director Deborah Warner amongst others. In 2015, Natalie Clein was appointed Artist in Residence and Director of Musical Performance at Oxford University for 4 years. She will curate a concert series in the context of this position.